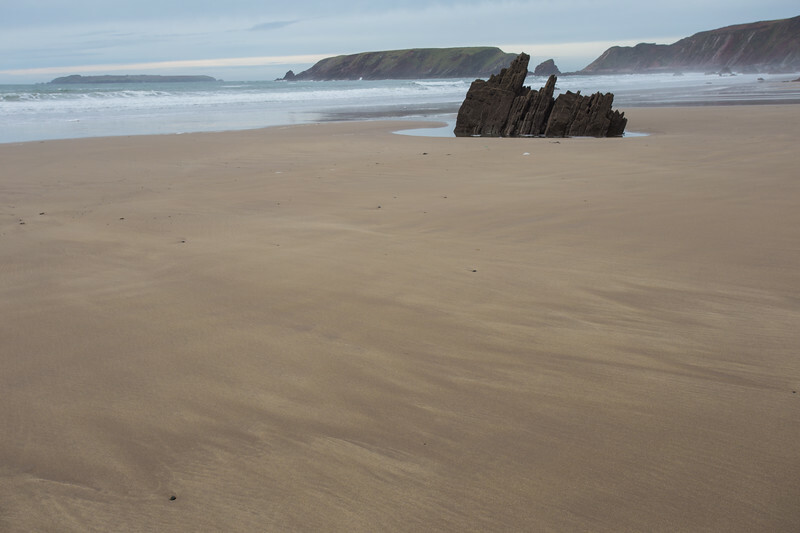 Another view out to sea from Kynance Cove with just one person on the beach. 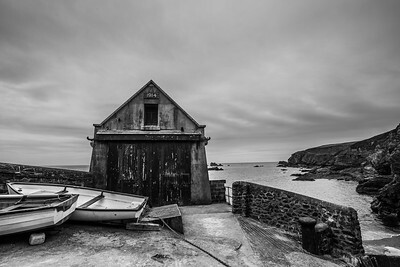 The old RNLI lifeboat house at Lizard Point. One of my favourite black and white images. 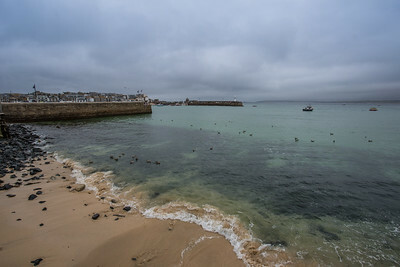 Looking across the harbour towards the houses and shops of St Ives. 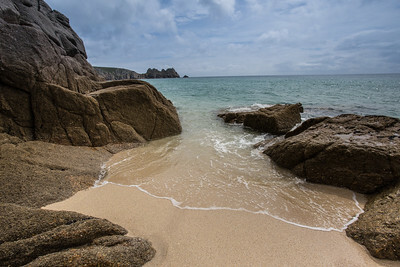 Waves breaking on to the sand and rocks at Porthcurno beach. 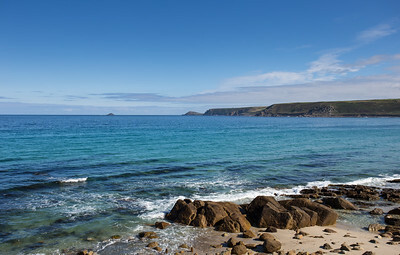 The crystal clear blue waters of Sennen Cove. 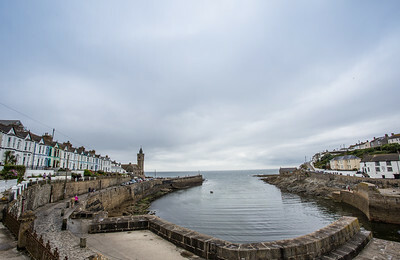 My favourite image of Porthleven harbour, taken from the footpath in front of the harbour houses. 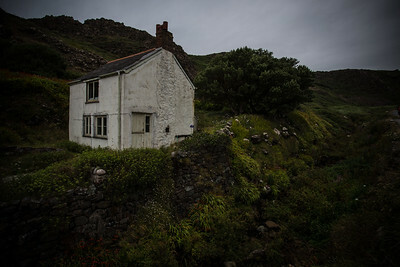 A lone run down cottage on the Cornish coast at Kynance Cove. 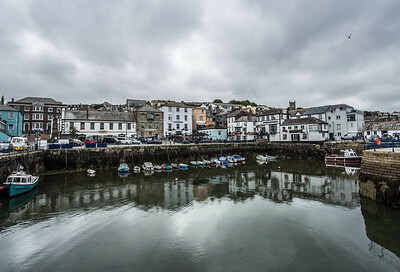 Falmouth harbour reflecting on the water. 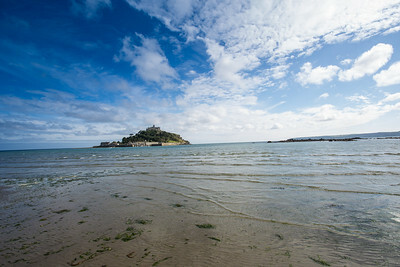 Looking across the sand towards St Michael's Mount. The beautiful harbour buildings reflecting on to the sea water. Cornwall is famous for it's many mining sites. 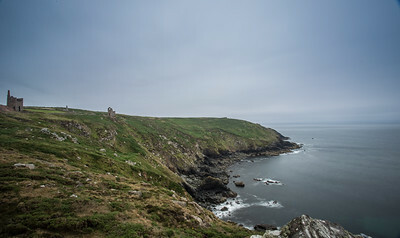 At Botallack, there are many remains of the mining structures. 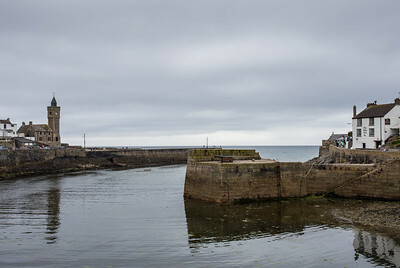 I used a long exposure here to add drama to the sea and coastline which was already breathtaking. 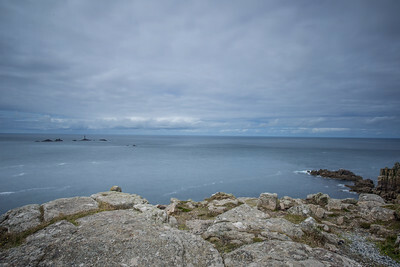 Looking along the Cornish coast from Land's End. 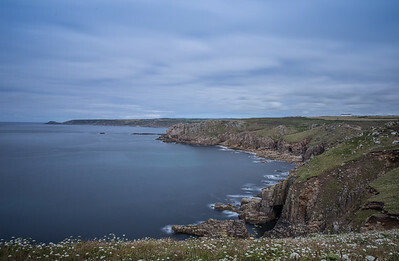 Chose a long exposure here to capture the motion of the tide and draw out the colour of the flowers along the cliff tops. 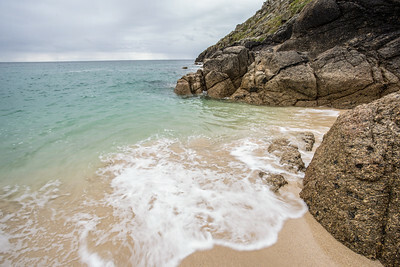 Looking from Porthcurno beach across the coastline during summer 2016. 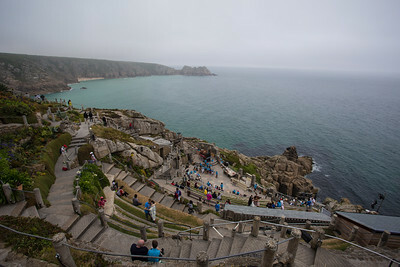 Built into the cliffs overlooking Porthcurno beach, looking out to sea from the Minack theatre as the fog begins to roll in off the sea. 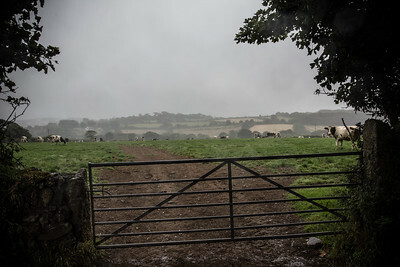 We stayed on a dairy farm, so I couldn't let the opportunity pass of getting some images of the cows grazing. The cow on the right giving me the "what does he think he's doing" look. 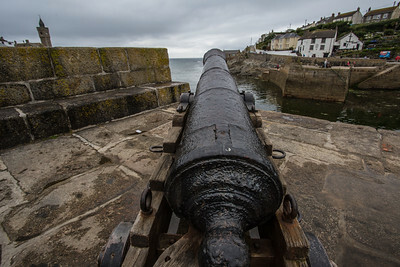 Cannons protecting the harbour at Porthleven. 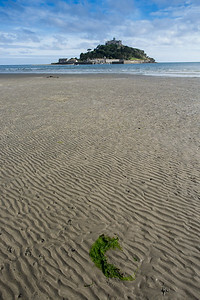 Mount Bay as the tide is coming in late on a summer evening. 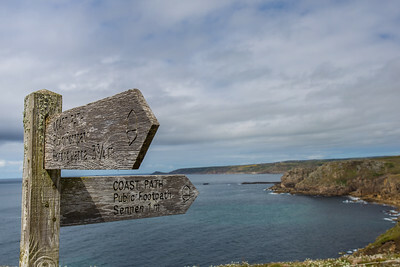 The coast path marker pointing the way at Land's End. 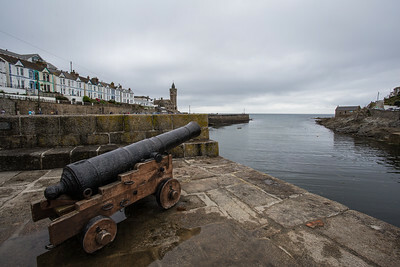 Cannons guarding the entrance to the historic harbour at Porthleven. 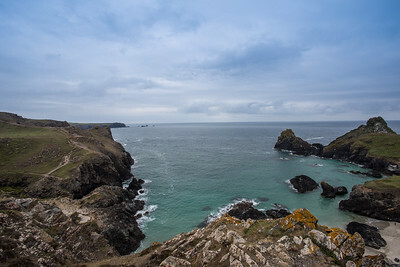 A long exposure of Land's End looking out to sea with a moody sky over the lighthouse. 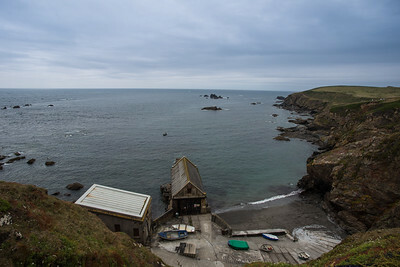 The view out to sea above the old RNLI lifeboats station at Lizard Point. 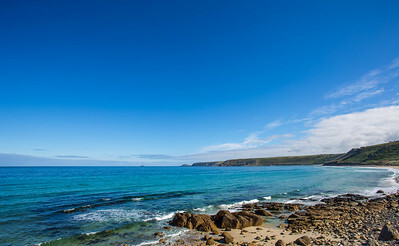 Looking out to sea from Sennen Cove. 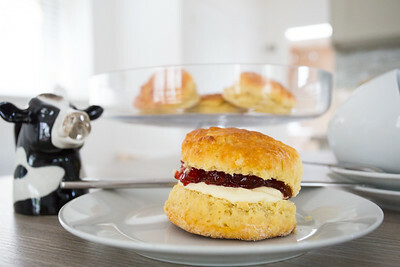 So the story goes I thought I'd take a picture of a Cornish cream tea. I used this image on a take over I did of the Visit Cornwall (LoveCornwallUK) Instagram account and then discovered that the jam and cream are the wrong way around for a Cornish cream tea. I think the Cornish people have since forgiven me though. 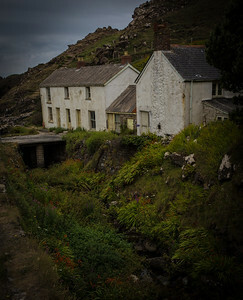 The old cottage buildings at Kynance cove. I love capturing old structures along the coast and the character of these old cottages re appealed to me,. The lushness of the grass really draws out the white of the buildings.